If you have been following in the diabetes community over the last month or so, you may have noticed that Dexcom G4 PLATINUM, a continuous glucose monitoring system, came out with a new device. The all-new Dexcom G4® PLATINUM System with ShareTM features BLE (Bluetooth Low Energy) wireless communication built into the receiver, enabling remote monitoring capabilities. Through secure wireless connections, the Dexcom G4® PLATINUM Receiver with ShareTM allows remote viewing of glucose levels, trends and data between the person with diabetes and their spouse, grandparent or other loved ones from an Apple iPhone® or iPod touch®. Sharing is caring, so whether you’re in college, you live in another state, or you’re going on a business trip, the Dexcom G4® PLATINUM System with ShareTM is there to keep you and your loved ones connected and informed. I was so excited upon reading the article, and had to get one for myself! I received a new receiver in late January, so I was automatically eligible for the free upgrade of Dexcom G4 PLATINUM with Share. But what’s different? The Dexcom Share has Bluetooth capabilities built right in! Dexcom Share allows the diabetic to share his or her blood sugars with up to five (5) people using their iPhone or iPod Touch devices. 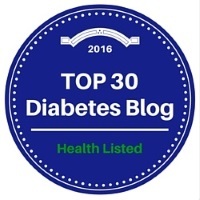 The diabetic installs the Dexcom Share2 app to monitor the users who they share data with. It is easy to also check your level if the Dexcom receiver is out of reach (however there is about a 5 minute delay, so it’s not quite as accurate at looking at the receiver itself.) 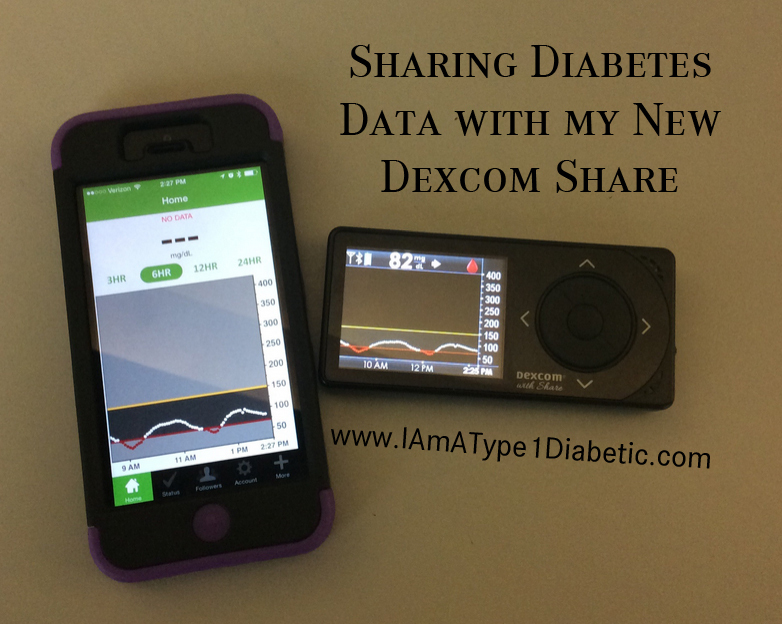 The diabetic needs to invite a follower through the Dexcom Share2 app via email. The follower (AKA spouse, parent, caregiver, friend to the diabetic etc.) then would need to also have an iPhone, accept the email invite, and follow the steps to download the Dexcom Follow app. I guess that didn’t help much. My hubby has been curious whenever I’m not with him! He tried to switch back to iPhone, and get the new one, but for right now, the prices are not reasonable. His other choice would be to start using his old iPhone again, but he hasn’t yet wanted to make the switch. The new Dexcom with Share could be a great tool! Some of us just need to get our ‘ducks in a row’ to be able to use it properly. For me, I’m still using the good ol’ dexcom receiver to track where my blood sugars are and where they are headed. The alerts seem to be even more louder than before, and really made me pay attention to it. My friend has occasionally been checking the app, but more out of curiosity than anything else. I have the Dexcom too! It is just way to expensive… That is so amazing that they have an app now!